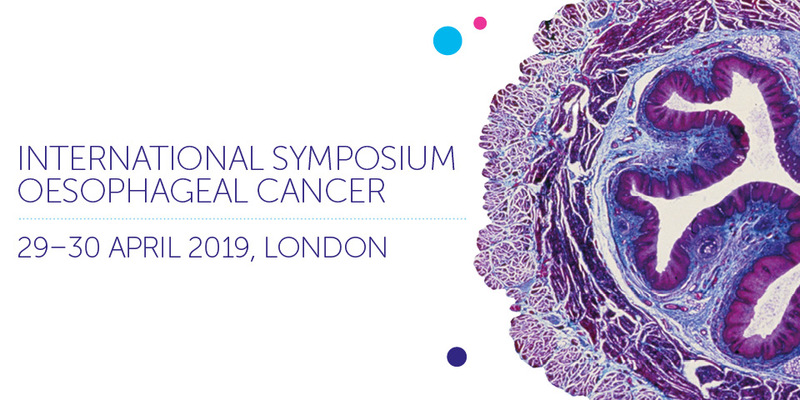 Our scientific programme features presentations, workshops and our Future Leaders session from world-leading oesophageal cancer researchers, and experts from allied disciplines. There will also be plenty of opportunities to network. Rebecca Fitzgerald is an MRC Programme Leader (tenure) at the MRC Cancer Unit, and an Honorary Consultant in Gastroenterology and General Medicine at Addenbrooke's Hospital, Cambridge. She also holds a personal chair in Cancer Prevention at the University of Cambridge. She studied Medicine at Cambridge University and gained her MD in 1997 following a period of research at Stanford University, California, with Professor George Triadafilopoulos. Her postdoctoral training took place at the Department of Adult and Paediatric Gastroenterology, St Barts and The Royal London School of Medicine and Dentistry with Professor Michael Farthing, funded by an MRC Clinician Scientist award. Rebecca was awarded the prestigious Westminster medal and prize for her first proof of concept work on the Cytosponge and associated assays for diagnosing Barrett’s oesophagus in 2004. This also received an NHS Innovation prize in 2011. She received a Lister Prize Fellowship in 2008, and in 2013 Rebecca was awarded an NIHR Research Professorship to facilitate translational research for patient benefit. In recognition of her work she was appointed Goulstonian Lecturer by the Royal College of Physicians and was awarded the Sir Francis Avery Jones Medal from the British Society of Gastroenterology. Rebecca currently holds an NIHR Research Professorship, and in 2013 was elected as a Fellow of the Academy of Medical Sciences. Rebecca has a plethora of teaching experience and is a Member of the Institute of Learning and Teaching. She is Director of Medical Studies for Trinity College Cambridge, and is involved with undergraduate and clinical teaching. She has a wealth of lecturing experience including radio broadcasts for BBC Radio 4 and ABC Radio Australia, Health of the Nation. Rebecca is committed to bringing research advances into clinical practice and inspiring other researchers to do likewise. Dr Nick Clemons (PhD) is Head of the Tumourigenesis & Cancer Therapeutics lab at the Peter MacCallum Cancer Centre and Senior Honorary Fellow in the Sir Peter MacCallum Department of Oncology at University of Melbourne. His research focuses on defining functional drivers of oesophageal tumourigenesis and developing novel therapeutic strategies, including recent work targeting mutant p53. Xin Lu is Director of the Ludwig Institute of Cancer Research Oxford Branch and Professor of Cancer Biology at the University of Oxford. She is an elected Member of the European Molecular Biology Organisation (EMBO), Fellow of the Academy of Medical Sciences (FMedSci), Fellow of the Royal College of Pathologists (FRCPath) and Fellow of the Royal Society of Biology (FRBS). Xin Lu is a world-expert in the tumour suppressor protein p53 and her studies were among the first to show that p53 senses DNA damage, how p53 responds to oncogene activation and that DNA damage-induced p53 is transcriptionally active. One of her most significant contributions to cancer research has been the discovery of a new family of regulators of p53, the ASPP family of proteins (ASPP1, ASPP2 and iASPP). She has a major current research focus on upper gastrointestinal tract cancers, investigating molecular mechanisms underlying cancer initiation and progression. Tim Underwood is Professor of Gastrointestinal Surgery at the University of Southampton. He trained in London and the Wessex region before completing a PhD in Molecular Biology and taking up an NIHR Clinical Lectureship in Surgery in 2008. In 2011 he was awarded a Medical Research Council (MRC) Clinician Scientist Fellowship and in the same year he was awarded the Association of Surgeons of Great Britain and Ireland prize and gold medal for outstanding performance in the Intercollegiate Specialty Examinations (General Surgery). In early 2017 he will take up a prestigious Cancer Research UK Advanced Clinician Scientist Fellowship. Professor Underwood leads a programme of research studying the role of the tumour microenvironment in cancer development and progression with a particular interest in oesophageal cancer and cancer associated fibroblasts. His team focus on understanding the molecular determinants of response to chemotherapy and the development of new therapies that target the tumour microenvironment to enhance the efficacy of conventional treatments. Developing themes include the metabolic regulation of gene expression in oesophageal cancer and the influence of exercise on response to chemotherapy and the tumour microenvironment across tumour types. His team develop and apply advanced technologies to understand tumour complexity in oesophageal cancer including, highly parallel genome-wide expression profiling of single cells using nanoliter droplets (DropSeq) and the generation of multicellular organoid models. Professor Underwood is a member of the National Cancer Research Institute (NCRI) Upper GI Clinical Studies Group and Oesophagogastric sub-group. He is a member of the Steering Committee of the Oesophageal Cancer Clinical and Molecular Stratification (OCCAMS) consortium, a UK-wide collaboration that is defining the genetic landscape of oesophageal adenocarcinoma, including a new molecular classification. He is part of the Trial Management Group for the Upper GI arm of the largest and most important study of aspirin as secondary prevention after cancer therapy ever conducted (AddAspirin). Mr Underwood has developed a portfolio of activities to raise public awareness of the symptoms of oesophageal cancer with the goal of early diagnosis, including numerous radio and TV appearances. He is a past Chairman of the Oesophageal Cancer Westminster Campaign and a trustee of Heartburn Cancer UK. Dr. Christian Abnet earned a Ph.D. in environmental toxicology from the University of Wisconsin and an M.P.H. in epidemiology from the University of Minnesota. He joined NCI in 1998 and was named the Chief of the newly established Metabolic Epidemiology Branch in 2015. He conducts a multidisciplinary research program on the molecular epidemiology of esophageal and gastric cancers and encompasses studies of etiology and early detection. He studies diet, environmental exposures, oral health, the human microbiome, and genetic predisposition. Dr. Abnet is a Principal Investigator for the Nutrition Intervention Trial Cohort, the Golestan Cohort Study, the THINKER case-control study of esophageal cancer, the GEMINI case-control study of esophageal and gastric cancer, and the NCI-Project UNC case-control study of esophageal cancer. He is a member of the BEACON Consortium, the African Esophageal Cancer Consortium, and a founding member of the Microbiome Quality Control Project (www.mbqc.org). Dr. Haque focuses his research on developing computational methods to go beyond brute empiricism in biology and medicine. Most recently, he was chief scientific officer at Freenome, where he led an R&D team spanning assay development, computational biology, and machine learning to develop non-invasive blood-based screening protocols for early cancer detection. Prior to Freenome, he served for over five years in roles of increasing responsibility at Counsyl (now Myriad Women's Health). As VP, Scientific Affairs, he led a research program in both clinical development, analyzing cohorts of hundreds of thousands of genetic test results to make discoveries in both medical genetics and population genetics, as well as technology development, designing assays leveraging the ability to customize both chemistry and computation. He holds a PhD in computer science from Stanford University, where he developed large-scale machine learning methods for drug discovery, and a bachelor's degree in electrical engineering and computer science from UC Berkeley. Survival rates for oesophageal cancer have barely moved in decades, which is why we’ve made it a strategic priority. We have a broad range of funding opportunities for researchers wanting to focus on the disease.